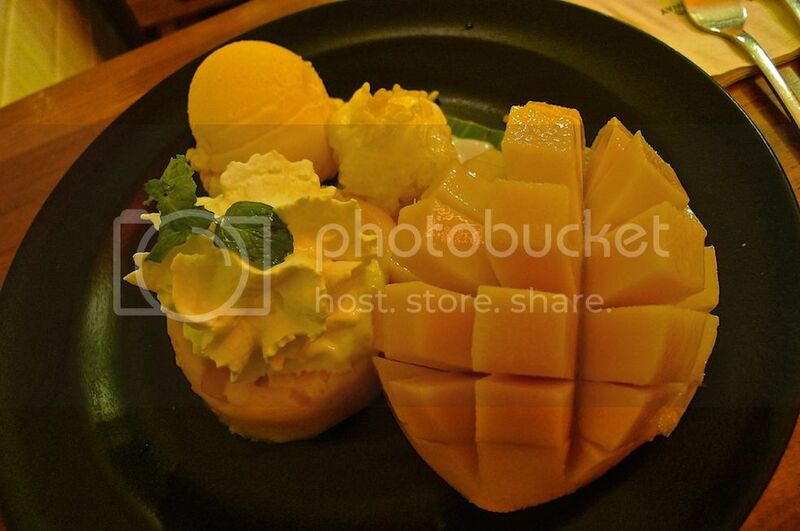 During my first night in Bangkok, I visited Mango Tango to try their famous mango desserts. 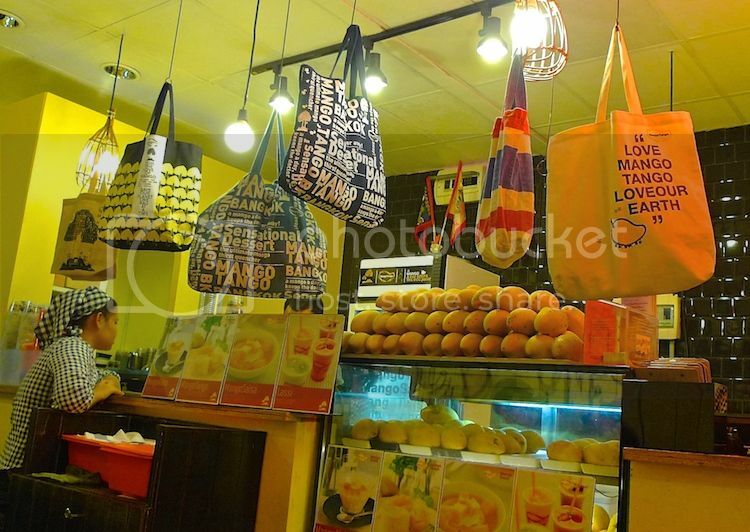 Located at Siam Square Soi 3, this shop is very conveniently located near the Siam BTS Station. I came here alone before meeting up with my friend for dinner at Inter Restaurant later. It's just desserts - surely I would not be too full for dinner after this right? LOL! The restaurant was actually quite small with just a few tables. Luckily there was no crowd. I heard that in the day time, there would be long queues to get a table. My photos did not turn out well as it was rather dim. 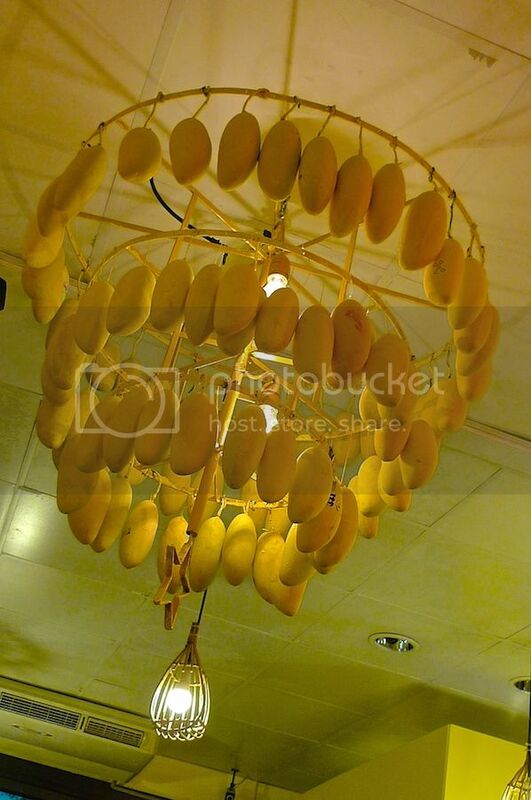 The menu was basically a variety of desserts based on the one and only fruit - mango! 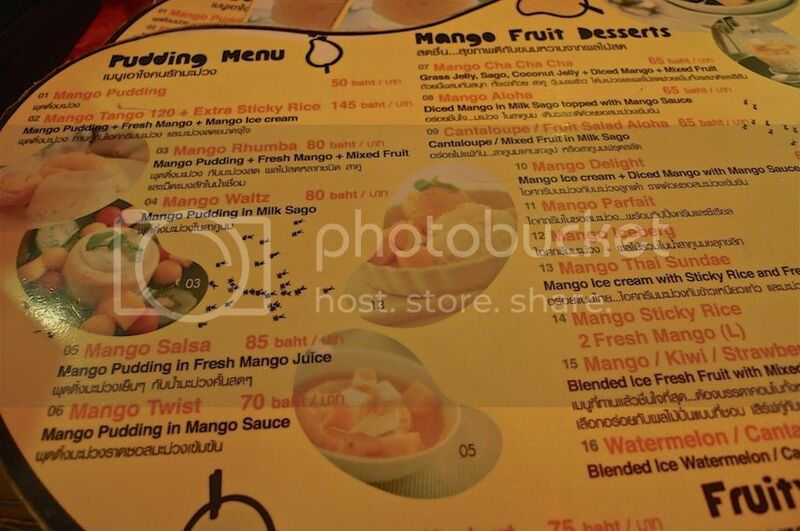 As there was no one to share the desserts with, I decided to go for their Signature Mango Tango with Sticky Rice (145 baht). I believe it's a wise choice as I get to sample everything - the fresh mango, mango pudding, mango ice cream and sticky rice. My verdict? It was OK - the mango was sweet and juicy. The ice cream was pretty good, but I was not impressed with the pudding and the sticky rice. I will definitely not queue for this, so if you see a long queue outside this restaurant, I will suggest that you go elsewhere for your dessert! Otherwise, it's worth a try at least once. I have no complaints about their fresh mangoes though. 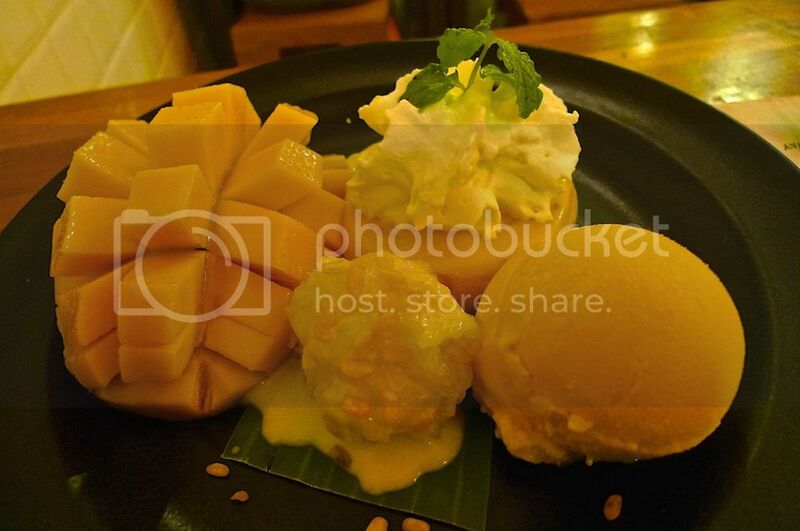 As for mango desserts, it's probably much better to fly to Hong Kong to try the Hui Lau Shan mango desserts!